When did you lose your first tooth? I think I was in first or second grade, and it happened on a camping trip (or was it at an outdoor swim meet? my memory is fuzzy). Like many children, after the shock and pain of losing a tooth had worn off I got super excited for a visit from the Tooth Fairy – I’d heard all about it from older friends. 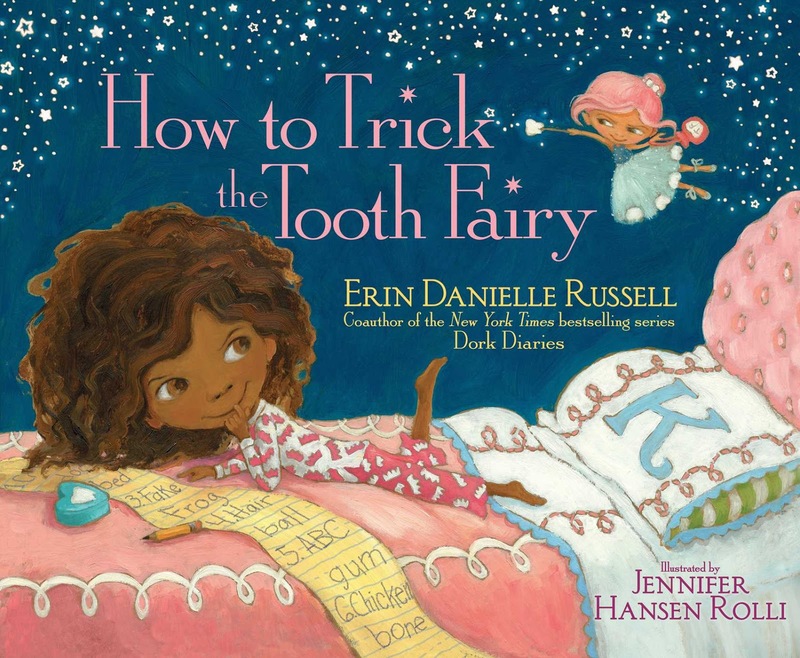 Erin Danielle Russell’s adorable How to Trick the Tooth Fairy combines the legend of the Tooth Fairy, pranks, and Jennifer Hansen Rolli’s charming art in one gorgeous picture book package. Kaylee loves pulling pranks: from dropping water balloons on passers by to even tricking Santa Claus, she’s a prize-winning prankster! Kaylee loves to play pranks – she has a twinkle of mischief in her eye, her favorite holiday is April Fool’s Day, and she’s a prank princess in training. The only person who might be better than her at pranking is the Tooth Fairy herself! When the Tooth Fairy arrives to collect one of Kaylee’s teeth, a truly epic prank battle begins. But how will it end? Will Kaylee be named reigning prank princess? How to Trick the Tooth Fairy will tickle kids’ funny bones and (possibly) inspire future prank wars. There’s a mounting sense of competition throughout the story as both Kaylee and the Tooth Fairy try to one-up each other – though of course the Tooth Fairy has the ultimate advantage as a magical being. After some truly disastrous pranks, Kaylee and the Tooth Fairy join forces, which should cause readers to speculate long after finishing the book – which pranks would they pull next? Young readers will love the flood of frogs, ice cream food fight, and thunderstorms that rain actual cats and dogs. Adults will appreciate the way that each page invites interaction – and that the story can be tweaked with every read through. There’s also a good lesson by the end – that cooperation and friendship can be better than even a prank war. The book invites year-round reading as kids lose teeth, but would be perfect in the lead up to April Fool’s Day as well. I haven’t even mentioned one of the best parts yet – the art! Illustrator Hansen Rolli’s painted pages include lots of pink, frills, and trimmings and embellishments galore. The Tooth Fairy has pink hair and a handbag full of tricks, and Kaylee is a black girl with natural hair who is smart and cute and wears pink pajamas covered in crowns (truly, a princess). I’d be remiss if I didn’t mention that the dust jacket is also delightfully glittery. 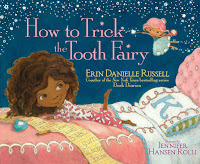 How to Trick the Tooth Fairy is the whole package – it’s so cute that you can’t help but be drawn to it, and the insides won’t disappoint. In all, this fantastical picture book is full to the brim of hijinks, fun, and beautiful illustrations. Recommended for: spirited 5-8 year old kids (especially girls!) everywhere, and their designated adult readers. Fine print: I received a copy of this title for review consideration from the publisher. I did not receive any compensation for this post.